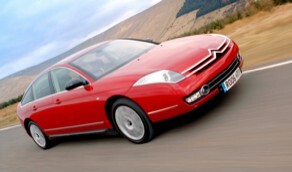 Citroen C6 (2006-2012) - Car Reliability Index | Reliability Index | How reliable is your car? 5/06 The C6 debuts with 3.0 V6 petrol or 2.7 V6 diesel engines. Trim levels are C6, Lignage or Exclusive. 10/06 There's now a 2.2HDi option. 8/09 The new range-topper is a 3.0HDi engine. 8/10 A wi-fi option is now available.